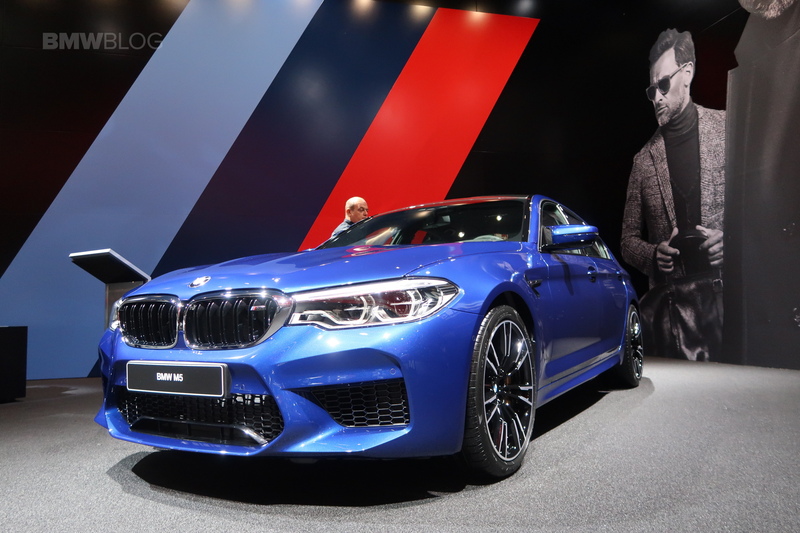 The world premiere of the 2018 BMW M5 took place today at the 2017 Frankfurt Auto Show where BMW M introduces the new sedan to the world with two variants. One of them is the base F90 M5 in Marina Bay Blue, a color that is named after the spectacular and Formula 1 race track in Singapore. Exclusive features such as the aggressively drawn aprons at the front and rear, the carbon roof, black 20-inch wheels and the four tailpipes make the new M5 stand out. Under the hood is the newest version of BMW’s 4.4 liter twin-turbocharged V8 engine. Now, it makes 600 hp on the nose and 553 lb-ft of torque. All of that fury is sent through an eight-speed ZF-sourced automatic that’s been specifically tuned for M5 duty. Peak torque comes in at just 1,800 rpm, allow for violent launches. That torque curve remains flat until about 5,700 rpm. So mid-range punch should be absolutely enormous, also. High-speed overtakes should be a breeze in this M5. What’s even better is that at 5,700 rpm, when the torque starts to drop off, peak horsepower kicks in. So just as torque is starting to wane, you get the full 600 hp sledgehammer. 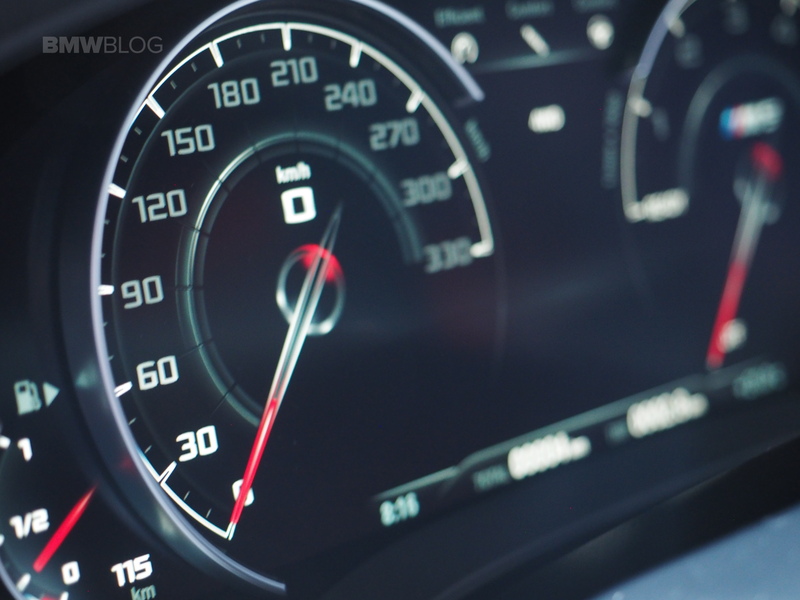 Top speed will be electronically-limited to 155 mph. However, with an optional M Driver’s Package, that top speed increases to 189 mph. 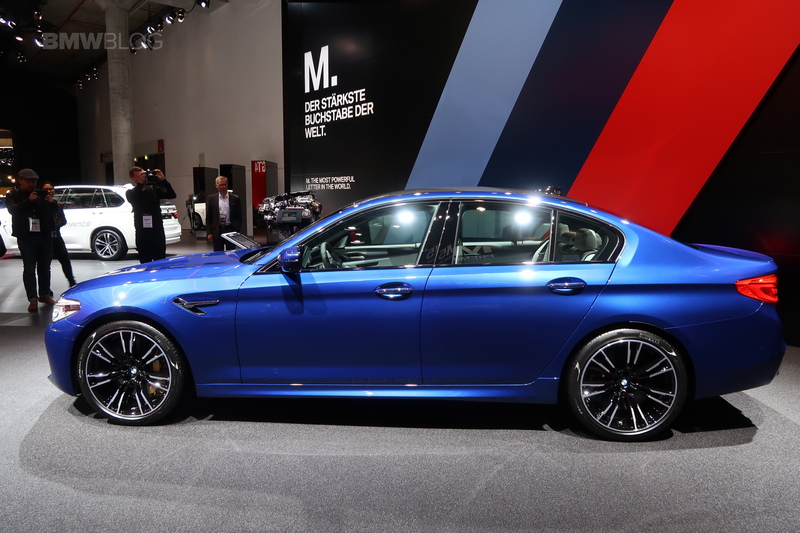 When first started, the BMW M5 will be in its normal “4WD” mode with DSC (Dynamic Stability Control) on. 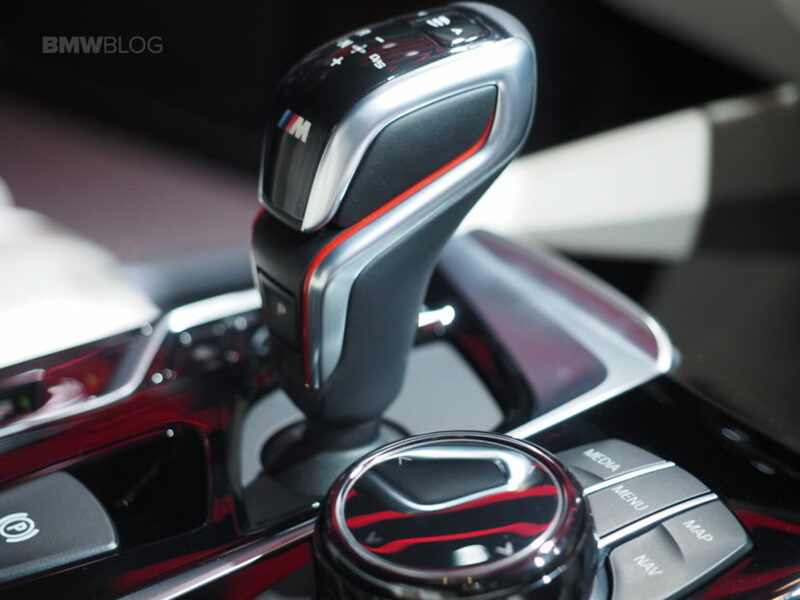 From there, the driver can tune the drivetrain to his/her liking. But even in standard 4WD with DSC on, the new M5 will offer a good amount of slip before reeling the car back in. As for suspension, steering and handling, the BMW M5 has been given a significant workover by the M Division to make sure that it handles like a proper M car. The familiar double-wishbone front and multi-link rear suspensions remain but have been completely redesigned with M-specific kinematics and elastokinematics. It’s also been given stiffer anti-roll bars, new toe-links and firmer rubber mounts, to accommodate the higher driving dynamics and steering precision. The M5 also has bespoke elastomer bearings on the rear axle mounts to rid any delay in chassis forces, sharpening the handling. The new BMW M5 will come to market in Spring 2018.